There are reports that the St Vincent and the Grenadines Netball Association is seeking new sponsorship for the annual national club tournament. 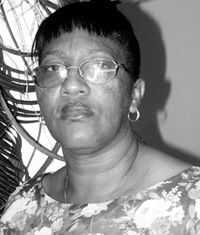 President Doris McIntosh, when quizzed on the matter, said: âI reserve my comments on thatâ. The netball boss admitted though that her association had approached Digicel, a rival telecommunications company of long standing sponsor of the local tournament Cable and Wireless for assistance in the national senior teamâs travel to the AFNA Qualifiers in Barbados last August. âWe wrote several letters requesting help for the team and Digicel respondedâ, McIntosh said in a candid interview last Tuesday. She revealed that the members were given bags and other tokens as gifts on the Barbados journey. âWhatâs wrong with that? she asked. She listed several corporate entities that assisted her association. âWe did not write Cable and Wireless since they had just sponsored the national tournamentâ, McIntosh said. She revealed that Cable and Wirelessâ sponsorship of the national club tournament dropped significantly this year from the usual $20,000. McIntosh said that the sponsorship package this time around only involved the purchase of trophies for the winners of the various divisions. âThis was the level of sponsorship this year, they said they were not able to neither buy balls nor pay the umpires,â the netball president stated. The netball association was also faced with a sponsorship crisis last month, at the start of the Firms and Industrial competition. This after Bottlers St Vincent Limited, sponsors of that competition for fourteen years, withdrew its commitment, citing a major upgrade of its bottling plant for its decision. The company however, reassured its sponsorship of the competition once the plant is up and running.